Welcome to another edition of Saturday Sketch! But anyways let’s start this thing off RIGHT! This Saturday Sketch’s topic is pertaining to the Extreme Speed segment on the Podcast. There was some talk over some baby Pokémon and which one was better, so my idea was why not find a Sketch that has a bunch of Baby Pokémon for you to enjoy this week? I realize that this is not all of them however it’s still an awesome Sketch to look at; overall my favorite part of this sketch is the Pokémon’s facial expressions. 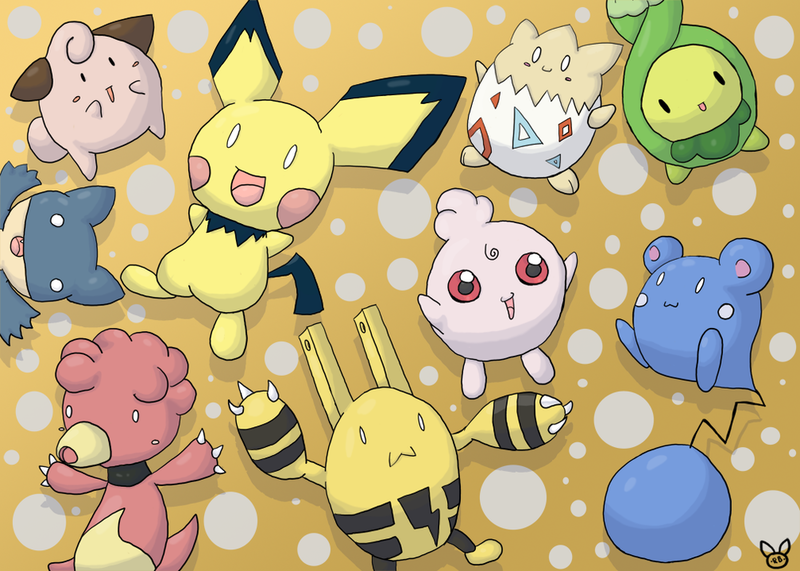 This piece of work is simply called “Baby Pokemon” it was made the the deviant ~Rukari-Boy on deviantART. Anyways this has been another edition of Pokémon Podcast Saturday Sketch, and you can all join me again next week at the same time, same place!